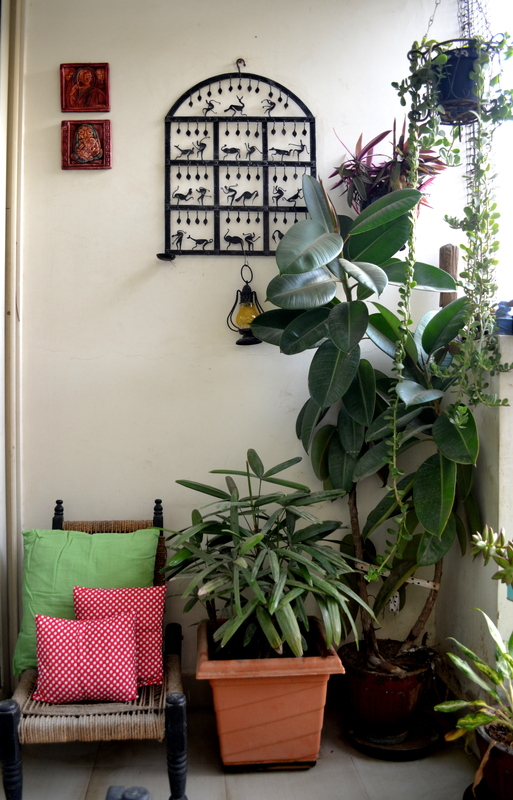 Today I am very happy to feature the garden space of my very talented friend Reema Saravanan. Extremely house proud and equally passionate about gardening, Reema has dedicated 2 out of 3 balconies of her apartment to plants. 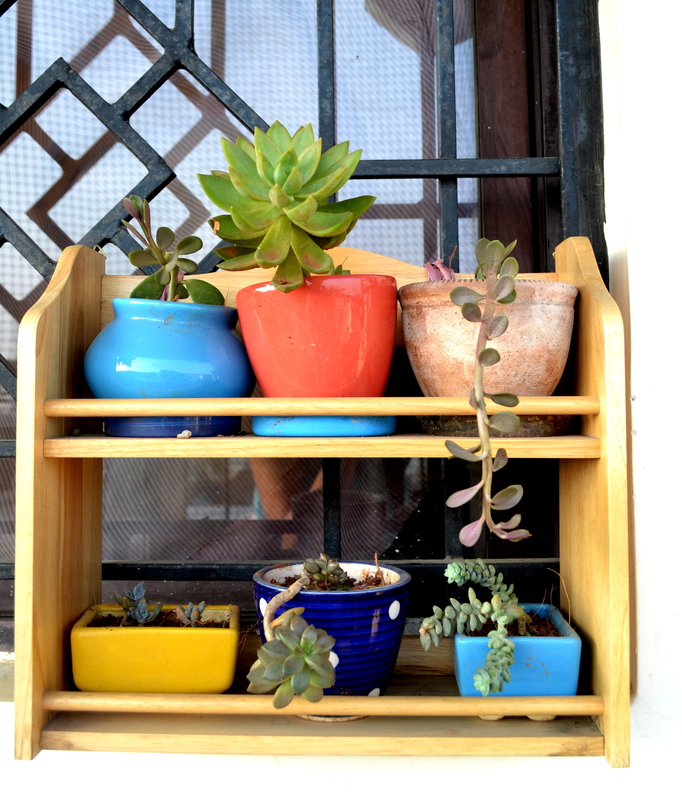 Her collection include a wide variety of succulents, cacti and flowering plants potted in planters that are colorful and vibrant. She also has a number of indoor varieties that adorn her living room and kitchen window. 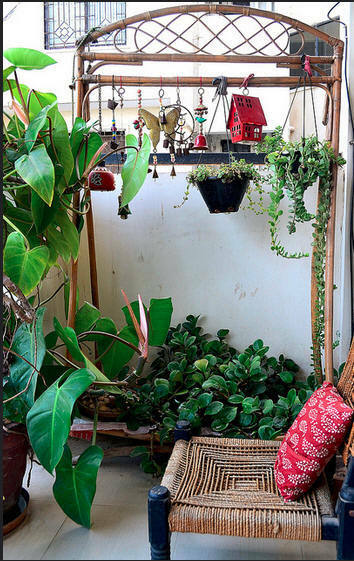 Despite her busy schedule, she makes it a point to ‘spend time’ with her plants and herself each morning which according to her is the most rejuvenating experience in the day. 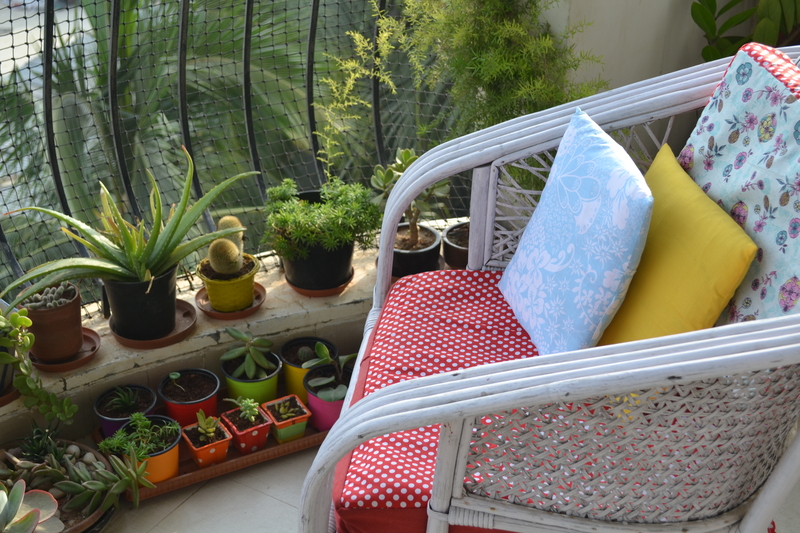 In fact, it is a daily ritual to have her cup of tea in the cozy corner of her balcony garden. My personal favorite is the way she has reused the old clothes stand to display her hanging pots. What I again love is the fact that the balcony is actually converted to a personal space with seating and her ‘trademark’ cushions. To say Reema loves cushions is an understatement; she adores them and all of them are hand stitched by her. 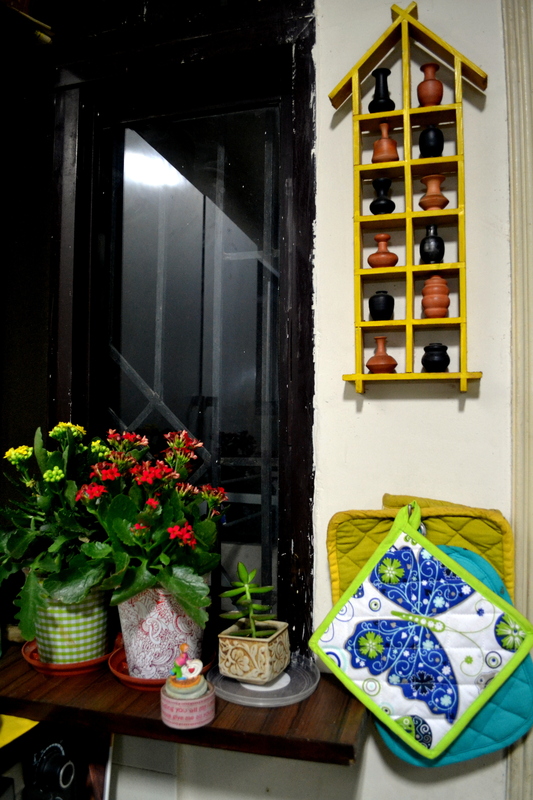 Cheerful and bright, they surely add character to any space. With funky accessories thrown in for good measure, she has created truly inspiring green spaces all around her house. Thanks Lois for stopping by:) Hope you are doing well. Love all the colour going on here and across your blog. Looks great.